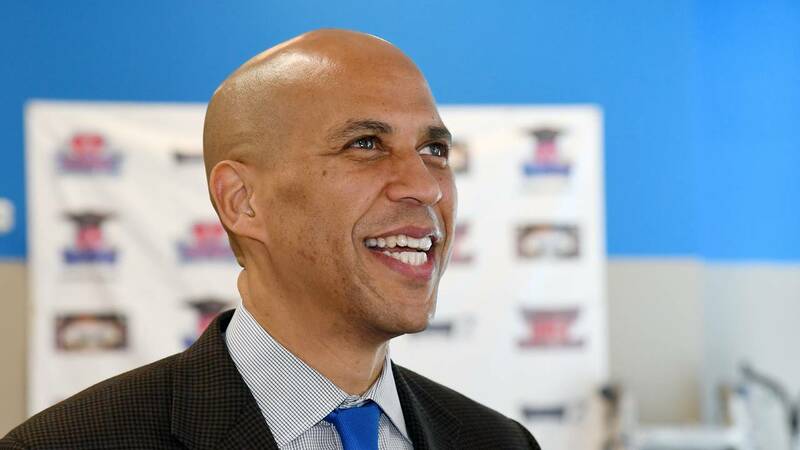 Sen. Cory Booker's campaign will announce a slew of endorsements Thursday from New Jersey Democrats in a show of home state support so far unmatched by rival Democratic candidates for president. Every Democrat in New Jersey's congressional delegation is throwing their support behind the state's junior senator -- including 11 House members, among them House Energy and Commerce Committee Chairman Frank Pallone, and Sen. Bob Menendez, who previously announced he would back Booker. "Cory will bring Americans together," Pallone said. "He is what we need to move our country forward from the divisive policies of Donald Trump." Top state Democratic lawmakers will also endorse Booker, including Gov. Phil Murphy, who earlier confirmed his support; Lt. Gov. Sheila Oliver; the state Senate president and the state Assembly speaker; all four Democratic county executives; and party chairs from all 21 counties in the state. Booker will also receive the backing of his hometown leaders, Newark Mayor Ras Baraka and members of the city council. The endorsements are particularly notable in light of an unusually crowded and diverse Democratic primary field, which has discouraged many party lawmakers from endorsing early in the process. Booker is not technically the first candidate to lock up his state's congressional delegation. Sen. Bernie Sanders, who announced his candidacy Tuesday, has also won support from his state's top elected officials -- but there are only two on the table in Vermont in Sen. Patrick Leahy and Rep. Peter Welch. The state's governor, Phil Scott, is a Republican. Most others have garnered support from a fraction of their home state lawmakers. Sen. Amy Klobuchar, of Minneosta, has won the backing of her state's governor and Senate colleague, Sen. Tina Smith. But, unlike Booker, Klobuchar has not locked up all of the House Democrats representing Minnesota, with backing from two of five members thus far. The same goes for Sen. Elizabeth Warren, who has the thumbs up from Massachusetts Sen. Ed Markey and Reps. Lori Trahan and Joe Kennedy, but the rest of the Massachusetts congressional delegation has yet to weigh in. The state's governor, Charlie Baker, is a Republican. Meanwhile, Sen. Kamala Harris has locked up endorsements from California Gov. Gavin Newsom and four of the state's members of Congress. But her colleague Sen. Dianne Feinstein has expressed a preference for former Vice President Joe Biden, urging him to jump into the primary.